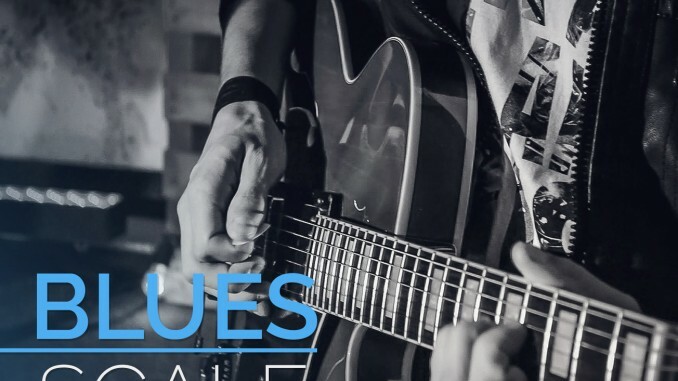 The Blues Scale is derived from the Minor Pentatonic Scale. It has an added #4th. This note gives the scale a bluesy feel. It is the only difference between the Blues Scale and the Minor Pentatonic Scale. As always, commit the pattern to memory because we will be using the Pentatonic Scale, the Blues Scale, and the Mixolydian Mode in the next lesson. We will, also, be using the 12 bar blues so get ready. Everyone learns the box patterns, but a couple are the most common. The image below is the Eb pattern over 12 frets. Don’t spend too much time memorizing all 5 patterns. Pattern 5, which we’ll detail below, is the most commonly used. It’s rooted on the 6th string, which pairs with some of the most common chords. Pattern 3 is another good one to learn because it is rooted on the 5th string. 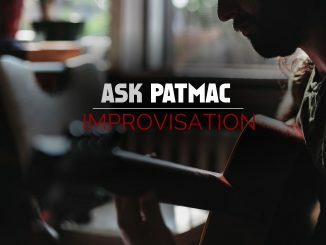 If you learn those two, and learn how to connect them on the 1st and 2nd string, you’ll be amazed at what you can play. At the end of each measure play the chord’s root note. If you lose track of the measures, just use E. E is located on the open 6th string, open 1st string, and the 2nd fret of the 4th string. If you know how to move the pattern around, try moving the pattern with the chord changes. They should all work on the backing track below. Make sure you listen for the chord changes! As always, let me know if you have any questions or suggestions for improving this lesson. 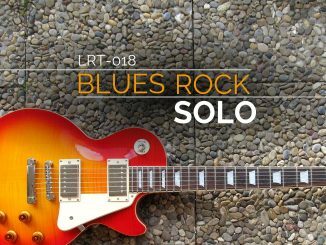 Make sure you checked out my 12 bar blues lesson. It covers the blues forms. 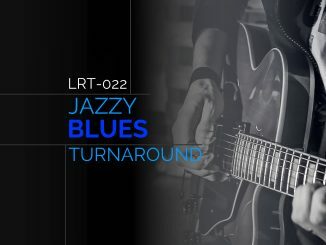 Also, I’ll be adding several blues backing tracks soon. Join my mailing list to find out when new content is arriving. Twvm my friend for the info it helps.